My mother has always told me look after your skin and it will look after you. The wisdom of these words in my teenage years was well and truly lost, but as I get older how wise she is. I very rarely drink enough water, nor do I have the recommended eight hours sleep. As a consequence I have bags under my eyes that resemble black holes that Stephen Hawkings would be proud of. As I am allergic to the sun my skin is also rather dry. 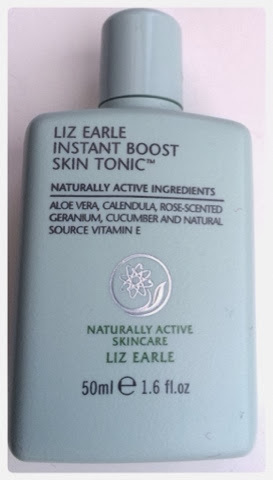 But I have found that nature has a little helping hand at the ready in the disguise of Liz Earl beauty classics. This product has over 90 prestigious beauty awards and it didn't get them for nothing. With gentle cleansing power of eucalyptus, rosemary, chamomile and cocoa butter it is wonderful at removing dead skin and bringing my skin back to its radiance. Tip run a warm bath add bubble bath of choice, massage cleanser on face, rinse muslin cloth under warm water place over face and relax. They suggest removing straight away but I prefer to leave mine on for 10 minutes and then it's ready to come off, run the cloth under warm tap and gentle rub off. After a hard day at work I love nothing more than relaxing in a lovely warm bath and washing with this beauty. It revives the most weary of souls with coconut vitamin E and orange flower water. It smells so good I could eat it. The one below is from the Essential Try - Me Kit £23, so 50ml perfect for travelling. Using cotton wall pour the tonic and sweep over face. Smells divine with rose sented geranium. The aloe Vera and vitamin E is really soothing. To finish of my facial care regim I use the repair moisturiser it is a must. You put conditioner in your hair, right but what about your face? 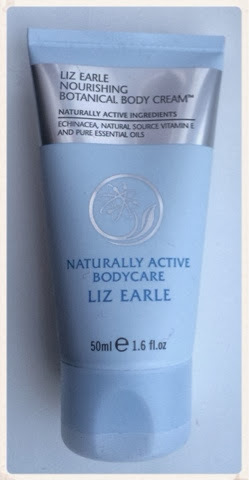 This is a skin conditioner of avocado oils, echinacea, beta-carotene and Vitamin E. I have really dry skin and since using this my face and skin feels soft and moisturised. You have done your face now bring your body back to life. This moisturising cream is great for arms, elbows, legs and knees with shea butter, advocado, echinacea and beta-carotene. The smell of rosemary, orange and rose is divine. 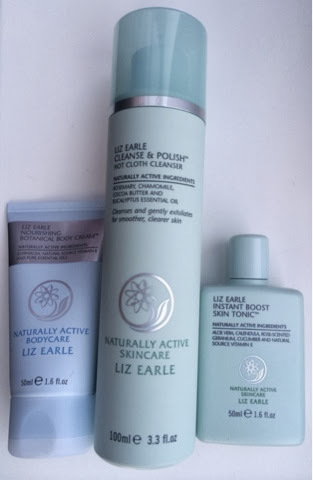 If you haven't tried Liz Earle products I cannot recommend them enough. Fuss-free, easy to use and based on natures beauty secrets. If you only get one product I would highly recommend Cleanse and Polish - Hot Cloth Cleanser. I received the hot cloth cleanser in one of my beauty boxes. Have not tried it yet, but looking forward to it, as I've heard UK bloggers sing it's praises!